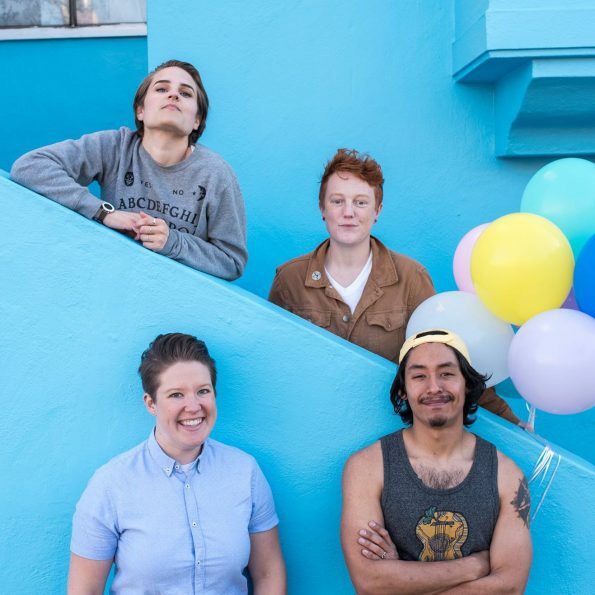 Back in 2015, we at the Nest whispered in your ear about San Francisco’s The Total Bettys, then making the scene with their first single “No Kings.” Now it’s time to shout from the rooftops, as the Bettys hit Different Fur Studios in town to concoct their full-length debut, Peach, and found a simpatico home in LA’s Lauren Records. Peach features nine slices of unrelenting uptempo indie rock that don’t mask the emotional flotsam and jetsam under the surface. It’s a snapshot in time of a band in motion that keeps the focus on the small details of life, and is all the stronger for it. “I’ll Fix It” is the irresistible opener, showing off all their tricks in one neat package, and “Stay Here All Night” is the lead single. “Light As A Feather” and closer “Is It Wrong” showcase their ability to tug the heartstrings, and someday they’ll drop a helluva ballad, but at this point there’s no slowing down the Total Bettys train. Keep an eye out for a West Coast tour, kicking off on July 10th at Bottom of the Hill, San Francisco.